Fight for My Way is already through, but we're still not over our dear Dong Man. He's captured our hearts perfectly and entirely—but now we're finding it really hard to move on from this heartwarming (and heartbreaking!) TV series. 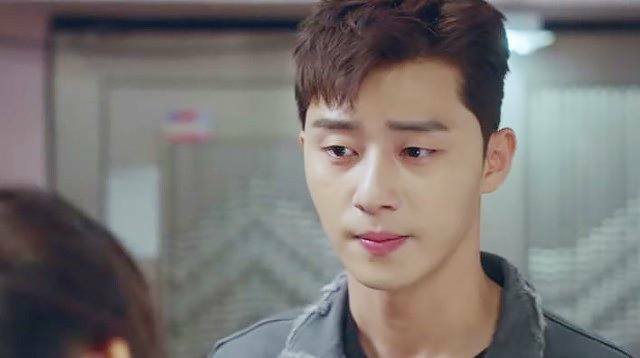 For now, we're going to re-watch actor Park Seo Joon's other projects to get through the day. Don't know where to start? Allow us to help you with that. After he appeared in Bang Yong Guk's music video for "I Remember," the Korean actor made his movie debut in this film about the top pitchers of the Korea Baseball Organization in the '80s. He played the minor role of Chil Goo. After "I Remember" and Perfect Game, Seo Joon started appearing on TV via KBS' Dream High 2, a series about students who want to become K-Pop stars, and in the family sitcom Shut Up Family. The following year, televiewers got even more familiar with Seo Joon's face as he appeared on three TV series. He slowly started building a steady following and we're not surprised why. Seo Joon's not only a great actor, his shy and charming personality never fails to win people's hearts. This year was a memorable one for Seo Joon's career. Aside from acting alongside Um Jung Hwa for Witch's Romance, where he performed bravely and boldly, he made a cameo appearance on MBC's moving drama series Mama. The following year was an even bigger year for Seo Joon. After his memorable appearances in these four projects, Seo Joon proved that he's indeed one of the best Korean leading men we'll ever have. Fight for My Way is one of our favorite dramas this year! Not only did we get a great balance of drama, romance, comedy, and even reality, we also loved the chemistry between Seo Joon and Kim Ji Won, which we think helped bring out his great performance as a former taekwondo player.